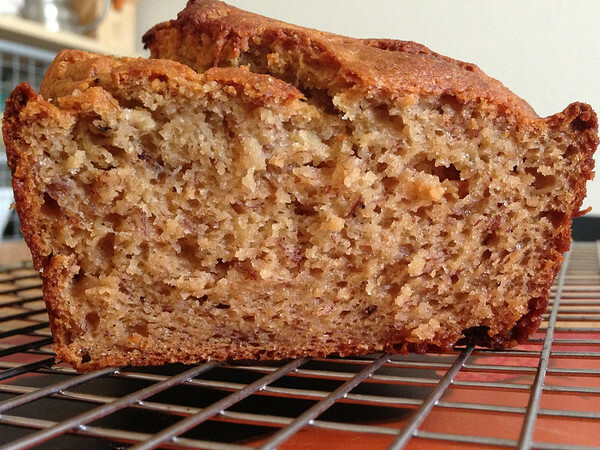 Over the years, I have come to realize that banana bread is a very forgiving recipe. I keep the total amount of wet ingredients approximately the same but otherwise am not particularly fastidious. The only thing I am fastidious about is the ripeness of banana. I always go for the ripest version. Otherwise, a little less sugar, a little more espresso, a little more banana, a little less yogurt…. I am a lazy baker. The end product is always moist, always super banana-y, super chocolate-y. And yes, I went with the water/sugar topping. It tastes perfectly fine. This was inspired by banana pecan cake with maple glaze recipe from Clotilde. 40g whole almond or walnut butter (fresh butter available from Whole Foods, ~ 2 scant Tbsp). 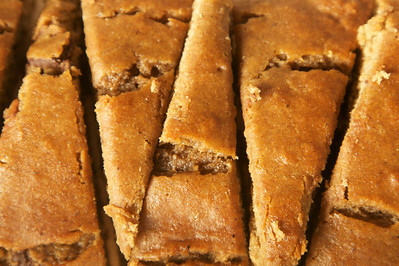 Growing up in India, soft ripe bananas usually translated to sweet and savory banana fritters. 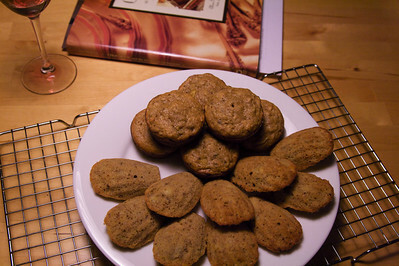 Now, they also end up in banana bread. 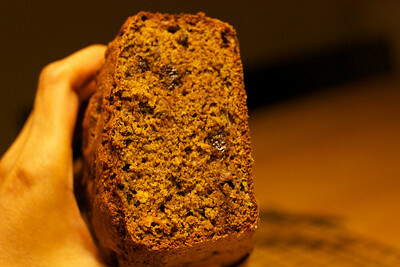 Yesterday, instead of the tried and tested banana bread recipe from Joy of Cooking, we decided to go for a new one. So, we substituted whole wheat pastry and buckwheat flour in David Lebovitz’s banana bread recipe, and added 1% homemade sour yogurt instead of sour cream. 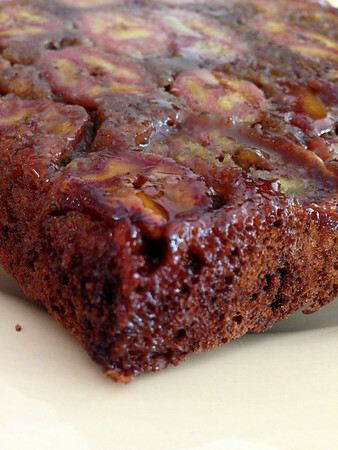 Result: A dark, nutty and moist banana bread with only 120 calories per generous slice.